Thank you for your time and interest to learn more about us and what we’ve been working on in the past months. Truly, building a product is one great experience. There are a lot of challenges and assumptions, but here we are, writing the media kit, getting the last bits ready for the official launch. Hopefully, this media kit will provide you with some insight of the team and our product — Envoice. We‘d love to hear your thoughts. Today we see a lot of teams trying to crack the next thing, to become the next unicorns, thus a lot of energy is consumed into inventing the future rather than fixing what is already there. — the result: annoyed end users. If we’ve had this problem, there have to be other teams and individuals as well. Sasho Mihajlov did a great job outside of our HQ, with interviewing individuals and small companies. The interviews were fruitful. To sum it up, we’ve got a feeling that the existing solutions in the wild, have spent more energy in the app development and choosing a technology stack rather than focusing on the overall experience and how sending invoices happens in the real life. We’ve created a mockup(image bellow — first part) to start with and iterated until we’ve collected enough information that the app is easy to use(image bellow — second part). We didn’t stop there. We’ve dedicated ourselves on adding those small details that no-one will talk about, but if we remove them, customers would not know how they’ve lived without them. Small things like client prediction, invoice number prediction, payment notifications. Currently, there are a lot of activities happening on our side. 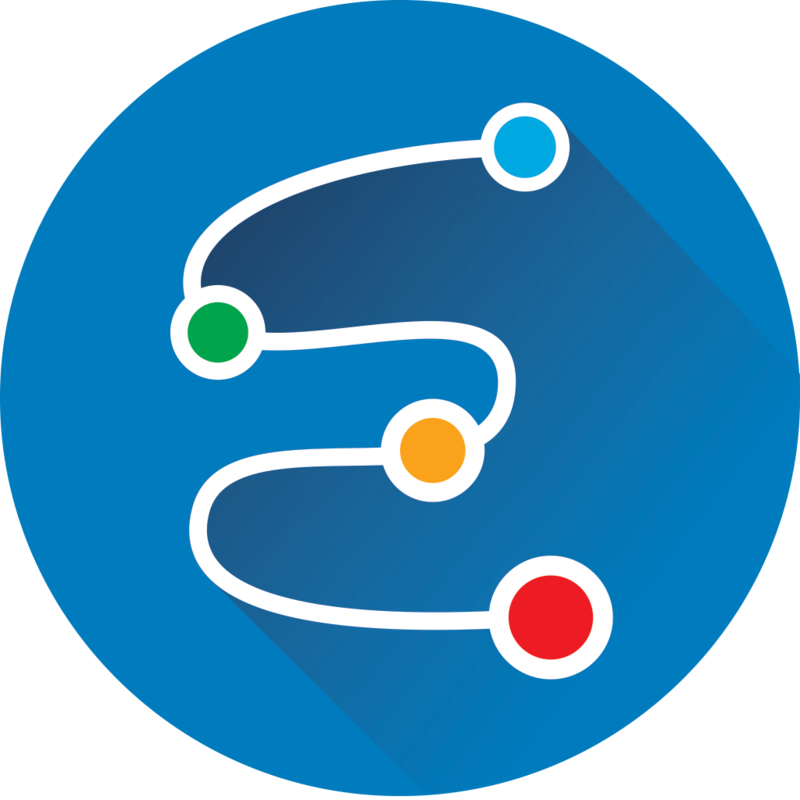 In the next months we will continue to deliver items from our road-map for Envoice. 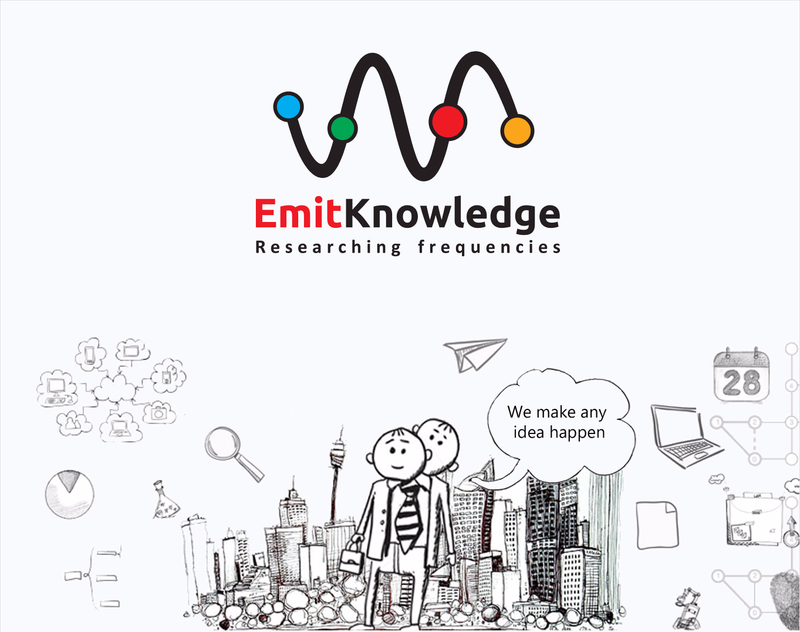 We’re the team behind Emit Knowledge, progressive small agency which stands behind the enterprise software for many big companies like Fokker, Enercon and behind the web apps for many startups around the globe. Envoice is one of the goals towards our vision to craft products that people love to use. We would love you to be part of our journey. 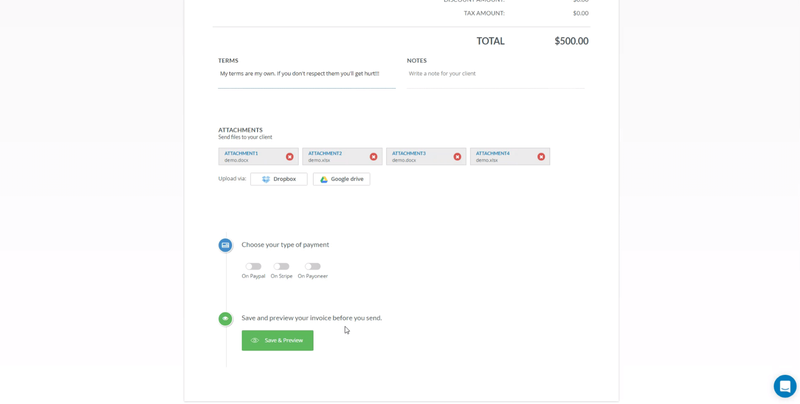 Envoice is an invoicing app that let you send invoices and let your customers pay you online with a debit or credit card on Paypal, Payoneer or Stripe. It will let you to send invoice super-fast, add invoice attachments from Dropbox and Google Drive, track when a client opens the invoice and get super understandable financial report in a second. Super-Fast Invoicing — Send invoices in less than a minute. 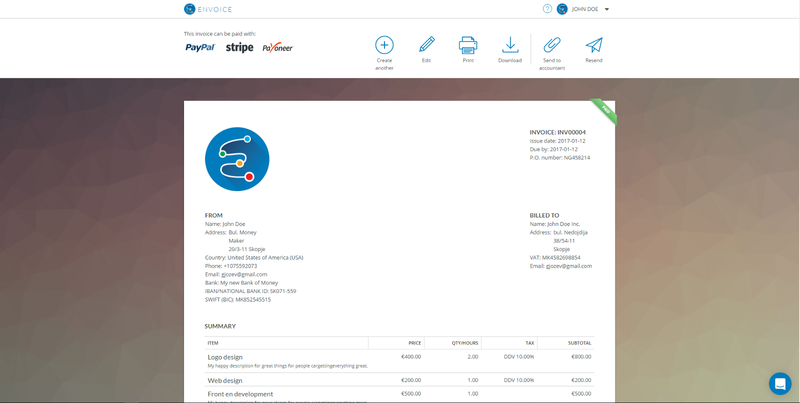 Invoice Tracking — Track your invoice activities. Learn when your client opened, downloaded and paid your invoice. Get Paid Faster — Accept online payments via PayPal, Stripe and Payoneer. Multiple Currencies — Multiple currencies are supported. You name it we’ve got it. Automatic Remainders — We’ll sent automatic reminders to your client for every overdue invoice. Download Invoice As PDF — Both you and your client can have an offline version of the invoice. Duplicate Invoice — Stop typing the same information over and over again. Duplicate existing invoices and send them to your client. Forward Your Invoices To Your Accountant — Let your accountant stay up to date with your invoices. Email Invoices And Get Paid Online — Send your invoices to your clients by email and get them paid via credit/debit card. Financial Report — You’ll get a Statement of Success that is easy to read and understand how much you’ve earned. 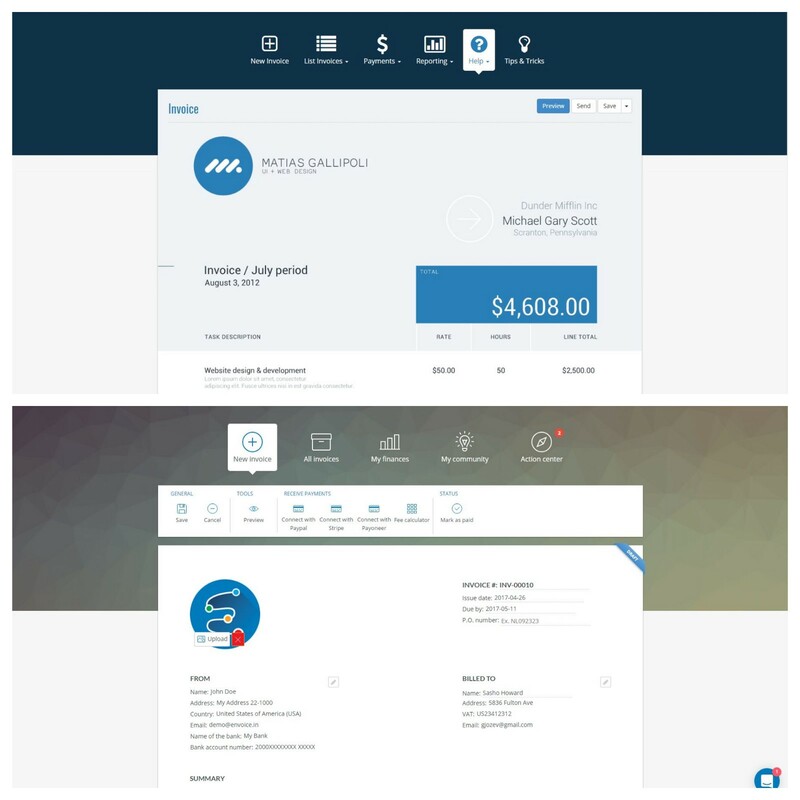 Custom Branding — Add your business logo to your invoices. Email And SMS Notifications — Receive notifications when an invoice is paid or overdue. Multiple Tax Settings — Add multiple tax settings and use them accordingly. Print Invoice — Print your invoice for your offline archive. Attach Your Files To Your Invoices — Send your project files and timesheets attached on your invoice fro your Dropbox and Google Drive. List And Manage Invoices — Filter your invoices by number, client, date, amount and status. Templates And Help Content — Access to our template and help content for everyday business activities. Great Support — Our support helps you tackle all your issues and is always ready to help. One thing lead to another and here we are with our new product — Envoice, an invoicing app that let you send invoices and let your customers pay you online with a debit or credit card on Paypal, Payoneer or Stripe. We have SSL data encryption(same as online banking), daily encrypted data backups of your data to prevent data loss. ▸ Follow us on Twitter Envoice - Send invoices. Learn and grow. Leader, engineer and father. 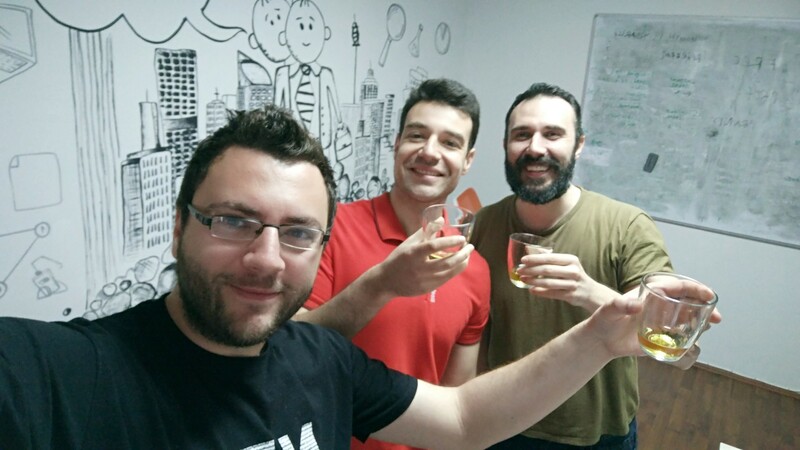 Passionate for building teams, knowledge sharing and product development.